Happy Canada Day and Happy American Independence Day, readers on The Daily Magi and the Magi Football Blog, I am Gir Todafunk, returning after a long layoff for the first of a bevy of weekly columns for your source to all news related to this fine institution. To all incoming first-year students, welcome to the home of the Best College Football Team in All of College Football, the Powerhouse of the New Age. Bienvenue a Universite Mitakihara. Glad to have you aboard. Well folks, another sensational college football season is upon us, and I'm getting ready for training camp. Those dog days of summer are on the way soon, and it's going to be physically demanding for the newcomers, but for all of us on the Cornerbacks Crew, we're used to this. For me, Bryan, Nyaruko, Bo and Quint, we're just concerned about getting the technique and mechanics down. Our season starts out rather tough, because we have Miami and Notre Dame as our Week 1 and Week 2 opponents. We get a breather against New Mexico, then we hit the road to clash with East Carolina. It's a long road trip but after this, it gets easy because we head into the bulk of the conference schedule. The difficulty level doesn't kick up until the regular season finale against UNLV. Since the players are just returning to campus, workouts have been light. Next week, we're going to be going out in full pads with drills and drills and more drills. In the next several weeks leading up to the game against Miami, I will be talking about some of the new faces on the team. Be sure to check that out on the Weekly Columns. This is a short one for now. But there will be more on the way. 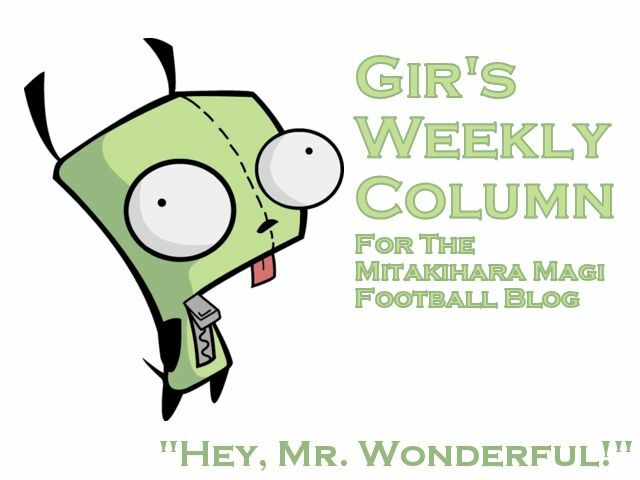 This is Gir, Mr. Wonderful, signing off until next week. You are not alone.